Are you looking for designer-inspired consignment furniture for a fraction of the retail price? You’ve come to the right place. At Encore Consign + Design, we have a vast showroom that is filled with some of the best consignment furniture in the Coachella Valley. 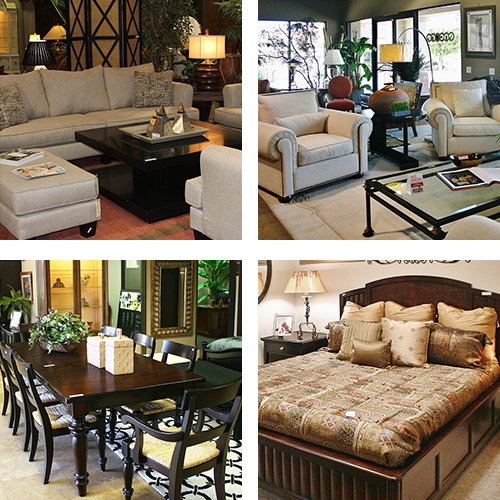 Stop into our showroom in La Quinta to start shopping our consignment furniture or consign your furniture with us. Consignment furniture isn’t for everyone. Many people have the misconception that consignment furniture and thrift store furniture go hand in hand—this isn’t the case. You can typically find an abundance of modern and antique furniture in your local consignment furniture store. The function of a consignment furniture store is to aid in the selling of furniture for a percentage of the profits. This allows unused, like-new furniture to find a home, while homeowners and consignors don’t see their investment go to waste. To consign your furniture with us, click on the button below. At Encore, we make creating your dream home simple. We have a team of dedicated interior designers that can help you create beautiful rooms with our collection of consignment furniture. Our friendly staff of interior designers and staff can navigate you through our multi-roomed showroom to help you find exactly what you’re looking for. If you’re starting fresh or need some design help, our staff is here to assist you in all your design needs. From furniture to home decor and everything in between, choose Encore for a shopping experience unlike any other.